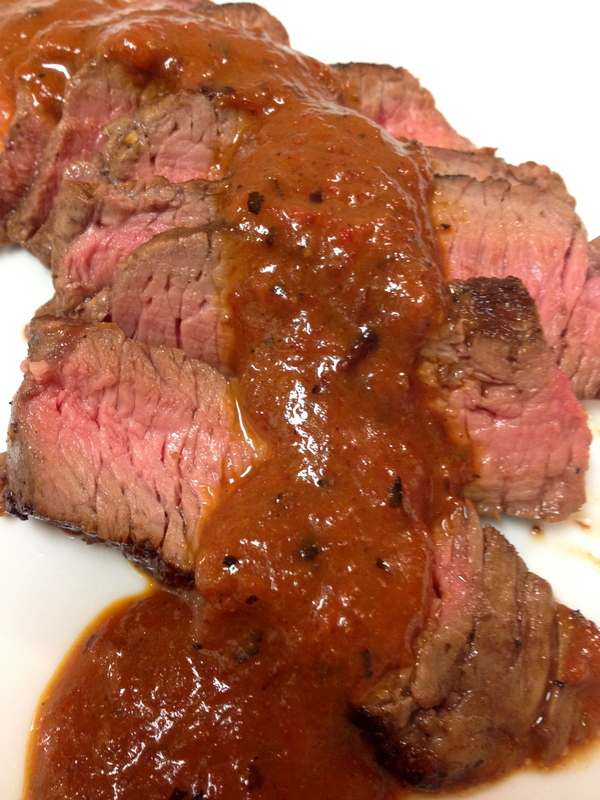 This sauce is incredibly flavorful, as is only fitting for a steak sauce. True confessions: I used to have an undying love for steak sauces. Yes, I would practically eat them on crackers (I was known to actually do that. Oops, the secret is out). Although this habit has since passed, it was resurrected again tonight. Get the crackers out!! Place the bell peppers directly onto the grate of a gas stove. 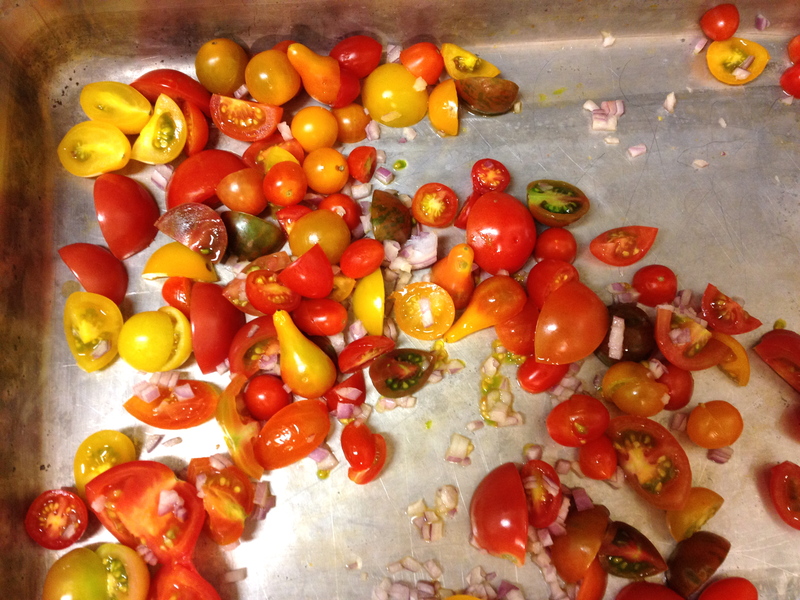 Alternatively, place the peppers on a baking sheet under the broiler. 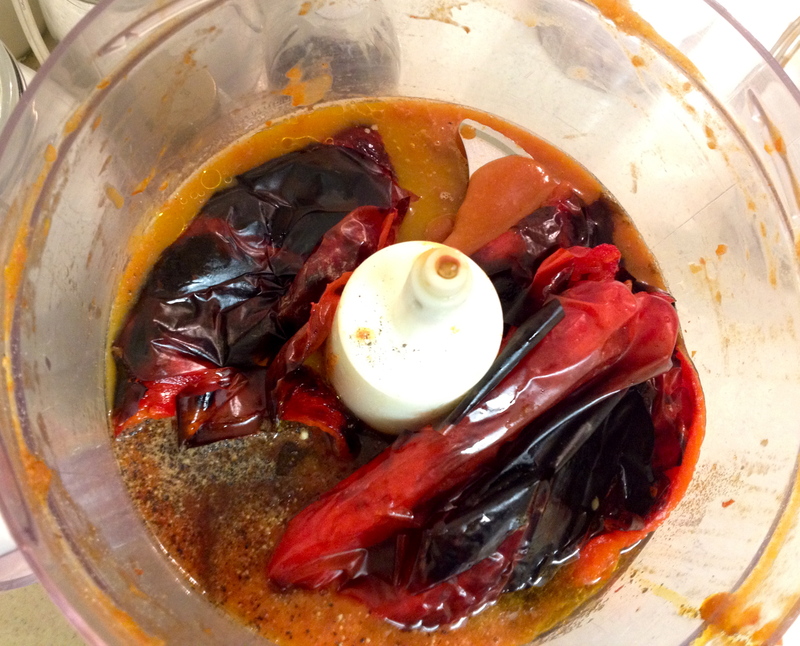 Leave the pepper on the stove until the skin is bubbly and blackened. Very black is fine! Remove the pepper from the stove, then set aside until it is cool enough to handle. Combine the remaining ingredients in the bowl of the food processor. 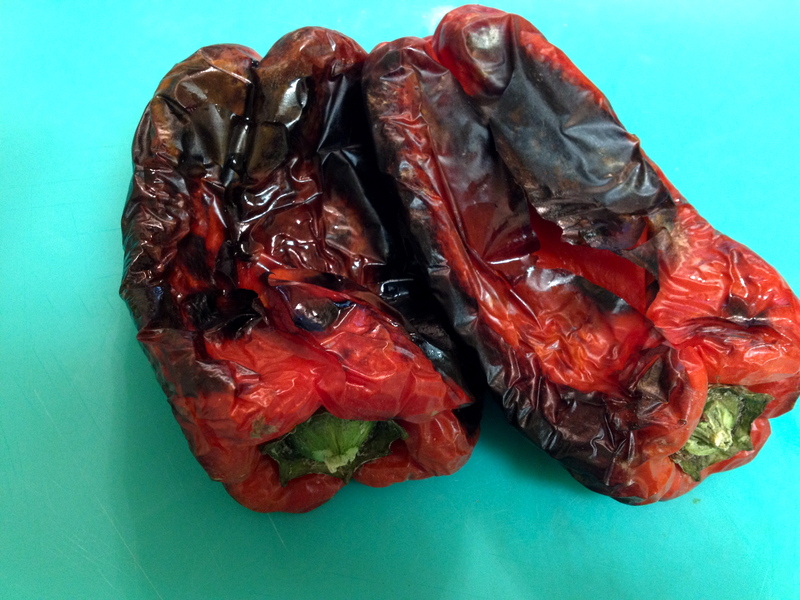 Split open the peppers; remove the veins and seeds. Add to the food processor. Puree until smooth. Pour into a saucepan. Simmer until the sauce thickens: about 20 minutes. To make a smoother sauce, puree again. Smother that steak with the sauce!